First in a series of articles about what students can do to get through college with little or no debt by taking control of their academic journey. 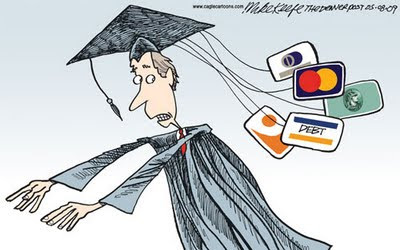 A few students graduated from the college where I teach without any student debt. No, not because of rich parents. They did get help from family – but they took active control of their academic and lifestyle choices – and saved a bundle. This series passes tips from students who graduate with little or no debt. You can be one too. Before you get to campus, you want to be ready to receive as much credit as possible for any type of prior learning – these are credits you do not have to pay for at college. Here are some tips for to prep for Orientation and registration. If you have any PSEO, Advanced Placement/AP or College in the Schools courses, gather all the documentation before you go to campus. Be sure you have the syllabus from the course (get a copy if you don’t have one). Speedy processing of those credits will prevent you from repeating requirements you’ve already completed. Does your college offer placement exams in math, language, chemistry, or English? If you’ve studied those subjects, take time in the summer to review – then take the placement exam. Worse case? You take the first year course. Best case? You fulfill a requirement without paying to take the course. Do you know about CLEP – College-Level Examination Placement? Exams for $77 are available through the College Board. When you pass an exam, you get credit towards graduation and – with proper selection – fulfill General Education requirements. Check your college’s catalog to be sure they accept CLEP credits. Read the course catalog online until you really understand the General Education requirements and the requirements for any major(s) you are considering. Do some of them overlap? Register wisely. Does your College Bookstore post a list of books online? Check out their used book prices vs. online used book prices. Watch out for bundles – your Bookstore may be a better deal overall if online Homework Access cards are bundled in. Otherwise, do check online sellers. Plan ahead – you have more choices and more opportunities when you’re at the front of the line than you do at the back. Coming soon: What to buy for your college dorm room.